Continuing from my last post about training back without putting your shoulder into a vulnerable position. The same thing applies to training chest, keeping your shoulders back and down. 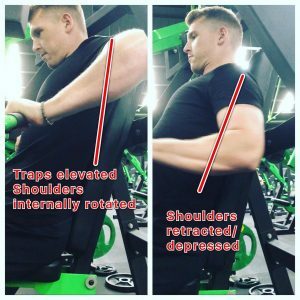 Do you often pick up shoulder niggles when bench pressing? This is very common due to elbows flaring and no scapula retraction, resulting a shoulder dominant bench press, which should be more chest focused.